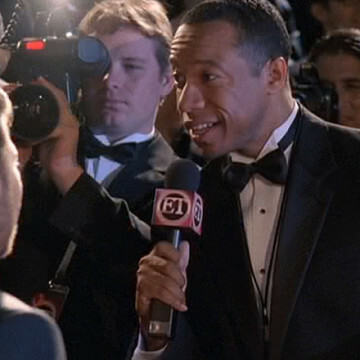 Rico E. Anderson makes a quick appearance near the 16-minute mark of the sixth season’s second episode, Amongst Friends. He plays the part of a reporter for ET and asks Jamie-Lynn Sigler about her date (Turtle) as their relationship had not yet been made public before his scene. Rico’s resume includes dozens of sitcom appearances, including small parts on Mike & Molly, Weeds, 2 Broke Girls, and a 2011 episode of Modern Family.